the Digestive Health Center offers $1000 colonoscopies and EGDs. send messages, and review clinical results through a secure online portal. Dr. Daniel Stout has been practicing Gastroenterology in the Indianapolis area since 1980. As Digestive Health Center’s sole physician, he provides individual attention and education for all patients. Our office separates itself from a traditional hospital visit. See how we can provide a better overall experience. For patients without insurance or high-deductibles, the Digestive Health Center offers $1000 colonoscopies and EGDs. This is a flat, all-inclusive $1000 self-paid rate that bundles everything done at the Digestive Health Center into one low-cost rate. (Pathology and lab work are billed separately.) With the $1000 procedures, patients receive high quality expertise at a dramatic cost savings. Dr. Daniel Stout established Digestive Health Center in 1988. 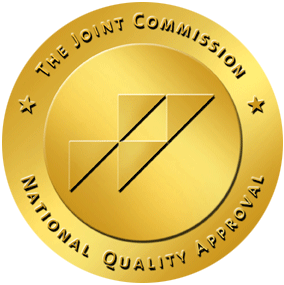 Just the second, free-standing Ambulatory Endoscopy Center in the United States, Digestive Health Center is accredited by the Joint Commission, licensed by the Indiana State Board of Health, and Medicare certified. Our comfortable, secure, and private atmosphere ensures patients receive the personalized attention they deserve during their outpatient procedure. Backed by advanced technology and more than 30 years of experience, Digestive Health Center is focused on providing patients with the highest level of comprehensive care. The American Cancer Society released new guidelines recommending that average-risk adults be screened for colon cancer at age 45 — five years earlier than previously recommended! Click here for more details.